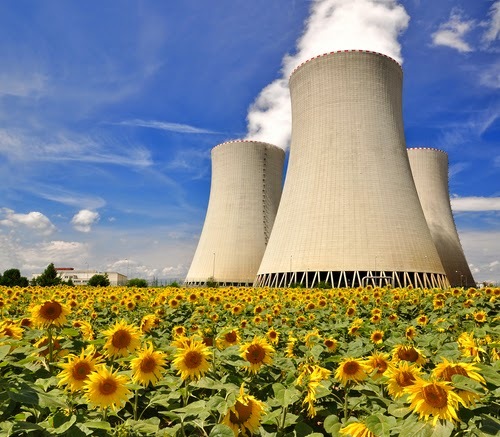 Sustainability: Is nuclear energy renewable? Energy resources are available to supply the world's expanding needs without environmental detriment. Wastes remain a major consideration whether they are released to the environment or not. Ethical principles seem increasingly likely to influence energy policy in many countries, which augurs well for nuclear energy. Until about 30 years ago, energy sustainability was thought of simply in terms of availability relative to the rate of use. Today, in the context of the ethical framework of sustainable development, including particularly concerns about global warming, other aspects are also very important. These include environmental effects and the question of wastes, even if they have no environmental effect. Safety is also an issue, as well as the broad and indefinite aspect of maximising the options available to future generations. Geopolitical questions of energy security are central to the assessment of sustainability for individual countries, along with the affordability of the electricity produced. Sustainable development criteria have been pushed into the front line of energy policy. In the light of concerns about climate change due to apparent human enhancement of the greenhouse effect, there is growing concern about how we address energy needs on a sustainable basis. A number of factors are widely agreed. The world's population will continue to grow for several decades at least. Energy demand is likely to increase even faster, and the proportion supplied by electricity will also grow faster still. However, opinions diverge as to whether the electricity demand will continue to be served predominantly by extensive grid systems, or whether there will be a strong trend to distributed generation (close to the points of use). That is an important policy question itself, but either way, it will not obviate the need for more large-scale grid-supplied power, especially in urbanised areas, over the next several decades. Much demand is for continuous, reliable supply of electricity on a large scale, and this qualitative consideration will continue to dominate. The key question is how we generate that electricity. Today, worldwide, 68% comes from fossil fuels (41% coal, 21% gas, 5.5% oil), 13.4% from nuclear fission and 19% from hydro and other renewable sources. There is no prospect that we can do without any of these (though oil has a more vital role in other applications). Harnessing renewable energy such as wind and solar is an appropriate first consideration in sustainable development, because apart from constructing the plant, there is no depletion of mineral resources and no direct air or water pollution. In contrast to the situation even a few decades ago, we now have the technology to access wind on a significant scale for electricity, and with some subsidy on a minority of supply being from those sources, they are affordable. But harnessing these 'free' sources cannot be the only option. Renewable sources other than hydro – notably wind and solar – are diffuse, intermittent, and unreliable by nature of their occurrence. These aspects offer a technological challenge of some magnitude, given that electricity cannot be stored on any large scale. For instance, solar-sourced electricity requires collecting energy at a peak density of about 1 kilowatt (kW) per square metre when the sun is shining to satisfy a quite different kind of electricity demand – one which mostly requires a relatively continuous supply. Wind is the fastest-growing source of electricity in many countries, and there is a lot of scope for further expansion. While the rapid expansion of wind turbines in many countries has been welcome, capacity is seldom more than 30% utilised over the course of a week or year, which testifies to the unreliability of the source and the fact that it does not and cannot match the pattern of demand. Wind is intermittent, and when it does not blow, back-up capacity such as hydro or gas is needed. When it does blow, and displaces power from other sources, it reduces the economic viability of those sources and hence increases prices. The rapid expansion of wind farms and solar power capacity is helped considerably by generous government-mandated grants, subsidies and other arrangements ultimately paid for by consumers. Where the financial inducements to build wind and solar capacity result in a strong response however, the subsidies become unaffordable and are now being cut back in many countries. Also there is often a strong groundswell of opposition on aesthetic grounds from the countryside where wind turbines are located. Renewable sources such as wind and solar are intrinsically unsuited to meeting the demand for continuous, reliable supply on a large scale – which comprises most demand in developed countries. Apart from renewables, it is a question of what is most abundant and least polluting. Today, to a degree almost unimaginable even 30 years ago, there is known to be an abundance of many energy resources in the ground. Coal and uranium (not to mention thorium) are available and unlikely to be depleted this century. The criteria for any acceptable energy supply will continue to be cost, safety, and security of supply, as well as environmental considerations. Addressing environmental effects usually has cost implications, as the current climate change debate makes clear. Supplying low-cost electricity with acceptable safety and low environmental impact will depend substantially on developing and deploying reasonably sophisticated technology. This includes both large-scale and small-scale nuclear energy plants, which can be harnessed directly to industrial processes such as hydrogen production or desalination, as well as their traditional role in generating electricity. Level 1. Safe, secure, economical and publicly acceptable nuclear power with security of supply – addresses conditions necessary for newcomers to deploy nuclear energy. Level 2. Safe disposal of all nuclear wastes in a complete once-through fuel cycle with thermal reactors and with retrievable spent nuclear fuel disposal. Level 2 addresses political issue of 'solving the waste problem'. Retrievability is required to not limit future generations’ options. Level 3. Initiate recycling of used nuclear fuel to reduce wastes. Limited recycle that reduces high-level waste volumes, slightly improves U utilisation, and keeps most of the U more accessible (Depleted U and Recovered U/Th). A branch of Level 3 is a once-through breed and burn option, providing significant improvement in resource utilization (up to 10 times). Level 4. Guarantee nuclear fuel resources for at least the next 1000 years via complete recycle of used fuel. Closed fuel cycle with breeding of fissile material (from 238U or 232Th) to improve natural resource utilisation by a factor of 10 to 100. Solves the resource utilisation issue by providing fuel for thousands of years while also significantly reducing long-lived radioactivity burden (Pu-233/U recycle). Level 5. Reduce radiotoxicity of all wastes below natural uranium level. Closed fuel cycle recycling all actinides and only disposing fission products to minimise long-term radiotoxicity of nuclear waste. Achieves additional substantial reduction of long-lived radioactivity burden (Pu-233/U/minor actinide recycle) and reduces radiotoxicity of waste down to natural uranium levels within 1000 years. As an option, transmutation of long-lived fission produces could be considered to further reduce waste radiotoxicity. Generally 'renewable' relates to harnessing energy from natural forces which are renewed by natural processes, especially wind, waves, sun and rain, but also heat from the Earth's crust and mantle. Although it shares many attributes with technologies harnessing these natural forces – for instance radioactive decay produces much of the heat harnessed geothermally – nuclear power is usually categorised separately from ‘renewables’. Conventional nuclear power reactors do use a mineral fuel and demonstrably deplete the available resources of that fuel. In such a reactor, the input fuel is uranium-235 (U-235), which is part of a much larger mass of uranium – mostly U-238. This U-235 is progressively 'burned' to yield heat. But about one-third of the energy yield comes from something which is not initially loaded in: plutonium-239 (Pu-239), which behaves almost identically to U-235. Some of the U-238 turns into Pu-239 through the capture of neutron particles, which are released when the U-235 is 'burned'. So the U-235 used actually renews itself to some extent by producing Pu-239 from the otherwise waste material U-238. This process can be optimised in fast neutron reactors, which are likely to be extensively deployed in the next generation of nuclear power reactors. A fast neutron reactor can be configured to 'breed' more Pu-239 than it consumes (by way of U-235 + Pu-239), so that the system can run indefinitely. While it can produce more fuel than it uses, there does need to be a steady input of reprocessing activity to separate the fissile plutonium from the uranium and other materials discharged from the reactors. This is fairly capital-intensive but well-proven and straightforward. The used fuel from the whole process is recycled and the usable part of it increases incrementally. As well as utilizing about 60 times the amount of energy from uranium, fast neutron reactors will unlock the potential of using even more abundant thorium as a fuel (see information page on Thorium). Using a fast neutron reactor, thorium produces U-233, which is fissile. This process is not yet commercialised, but it works and if there were ever a pressing need for it, development would be accelerated. India is the only country concentrating on this now, since in a world context uranium is so abundant and relatively cheap. In addition, some 1.5 million tonnes of depleted uranium now seen by some people as little more than a waste, becomes a fuel resource. The consequence of this is that the available resource of fuel for fast neutron reactors is so plentiful that under no practical terms would the fuel source be significantly depleted. Regardless of the various definitions of 'renewable', nuclear power therefore meets every reasonable criterion for sustainability, which is the prime concern.